Two unreleased tracks from the infamous Wolfgang Gartner today. One is an official preview from him and we get to know the album name which is "Ménage à Trois". I'm not actually a huge fan of the song on soundcloud but I also found a video with another unknown track that sounds wickedly insane. Truly electro house at its best!! Check them out after the jump. The album is set to be released in September this year. Great track. I already knew Wolgang gartner and liked him a lot. The first one sounds really good, much better than the live version. Great song dude, thanks for sharing! Sweet song! I had never heard of them befor today! Can't wait to shake my body to these beats on the dancefloor. Nice update. OMG!!! YOU LOVE WOLFGANG TOO?!?!?! We are like best friends, seriously! These beats are sick. The more I listen to this stuff, the more I like it! Very Daft Punk-y which I love! I hear them sometimes but have never had the chance to really listen to them. I wonder how would their live would sound. Oh hell yeah, ive been diggin his stuff alot lately. good call on the info. as it always have been, another amazing track. Wow great track, keep it up. Insane track , very cool, why I never heard about this band before? I love electro house and these one is simply amazing! I'm with you on the first one. The second is a great example of how much Wolfgang rocks live! 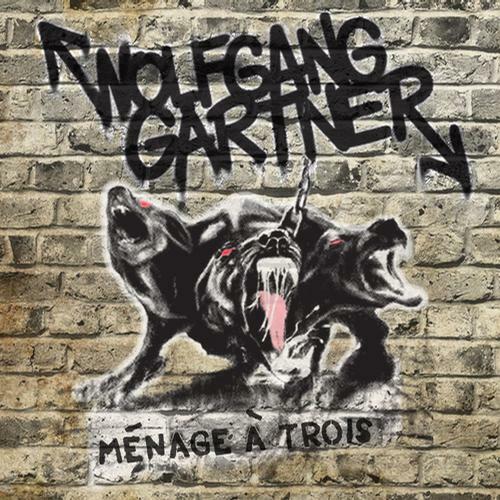 Wolfgang Gartner... never heard of them before, glad you posted it though because I like it! I like the title of the album! Hm, didn't care for this track that much. I'm digging the artwork, nice share! Man that really got the crowed going in that video, that is some awesome music! Didn't like this very much, but I really like the artwork. Not exactly my type of song, but some parts aren't bad. I love the Cerberus pick. The live recording is pretty good too, actually. Wolfgang has an amazing studio, so many synths. I agree with you. The vid sounded awesome. Cool track, and that looks like a real high energy show. Nice, I love wolfgang, some of the greatest beats ever. it has a kinda old-school videogame boss feel to it. Wolfgang Gartner's awesome. Illmerica's my favrourite :). Gonna be a sick album. Serious tune there! Preview stuff makes me sad, though. I want a download link! Hmm very cool music "], try listening to Odd Future Wolf Gang! I wish I was there, in that video.